Hey Roy....Pretty amazing what you can do these days isn't it!! I don't know anything about this technique! I saw yesterdays too, reminds me of doodling on paper in color... I do like these, but my jury is still out on this! I bet you are enjoying it : }}} Hope that wasn't to brutally honest!! 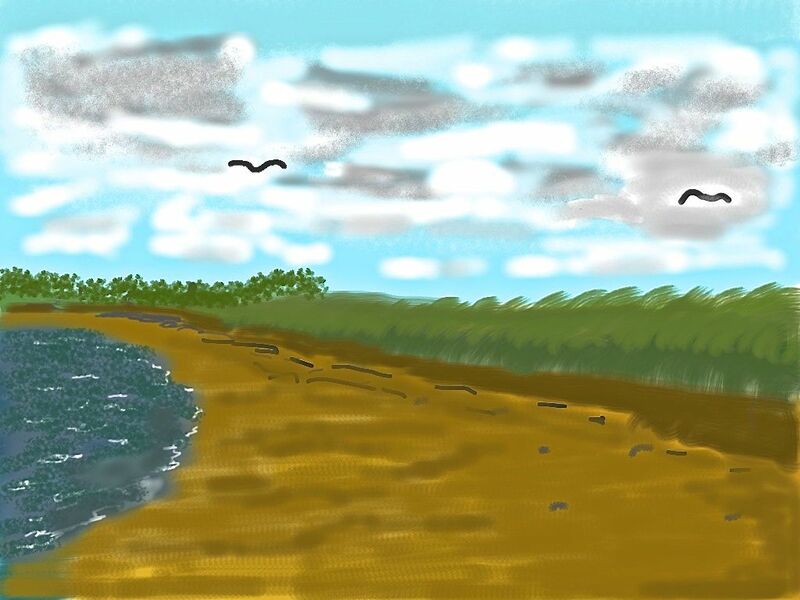 Thanks GG, it is something different and not everyone likes iPad Art, but its worth having a go at. Nice perspective! This looks like fun! Thanks Kathie, it is an interesting medium. I really want to walk along the beach. You have created a lovely scene.